AVUI HEM PESAT DIFERENTS ELEMENTS: PEDRES, CIURONS, SERRADÍS, SUCRE, SAL, AIGUA, OLI... I UNA CARABASSA QUE HA PESAT... 16 QUILOS!!!! CATERINA: HE TASTAT SA SAL I ES SUCRE. MARC: SES PEDRES PESEN MÉS QUE ES SERRADÍS. JOAN PUIGRÒS: SI MESCLAM OLI I AIGUA, S'OLI PASSA DAMUNT I S'AIGUA A BAIX. LLUÍS: S'OLI NO SE POT BEURE. MARIA: QUAN HE TASTAT SAL, HE FET UNA CARUSSA. 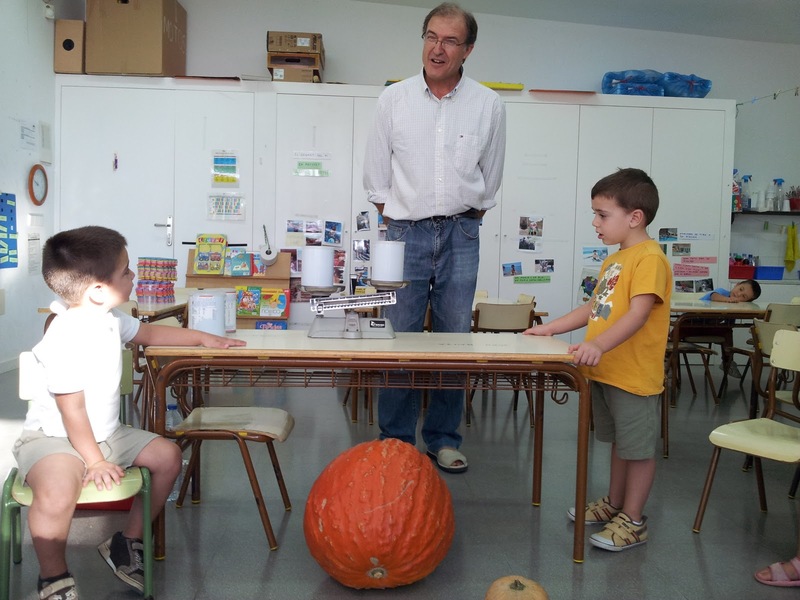 JOAN FONT: HEM FET UN EXPERIMENT. 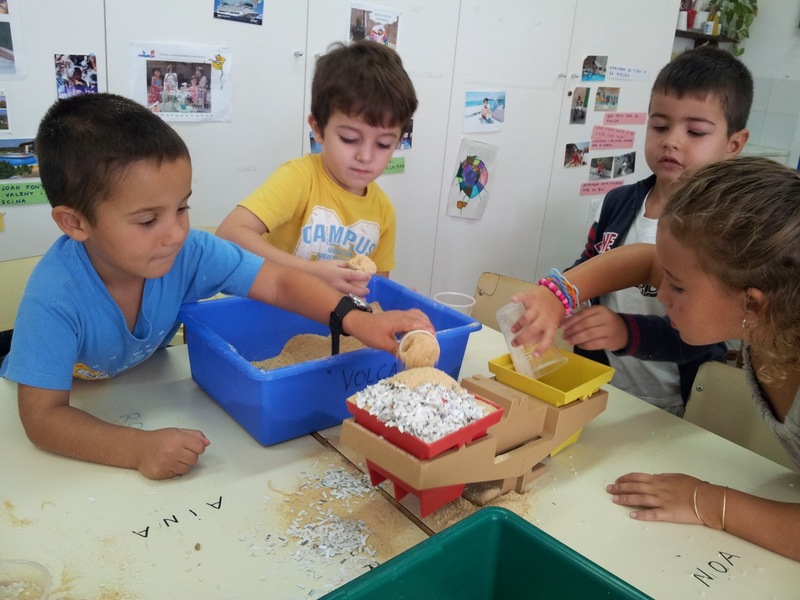 LLUC: SES COSES SE PODEM MESCLAR. ROBERTO: HE APRÈS A MENJAR SUCRE. ANTÒNIA: HE MESCLAT PAPERETS AMB SERRADÍS. ABDEL: JO PES COM SA CARABASSA. ÀNGELS: HE MESCLAT PAPERÍ, ARRÒS I SERRADÍS. ARIADNA: HE APRÈS A ,MESCLAR SUCRE, PEDRES,FARINA I SERRADÍS. LLORENÇ: HE FET UN EXPERIMENT.